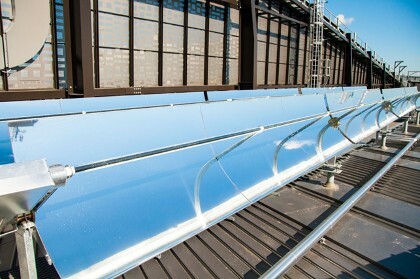 NEP Solar developed, manufactures, and supplies the PolyTrough, a patented parabolic trough solar collector. NEP Solar also provides consulting services and delivers projects from conceptual design through to turnkey supply of solar thermal systems. Industrial heating is NEP Solar's key market where heat, normally generated by burning fossil fuels, is replaced with heat captured from the sun. The typical temperature is up to 250° C, although higher temperatures are possible. 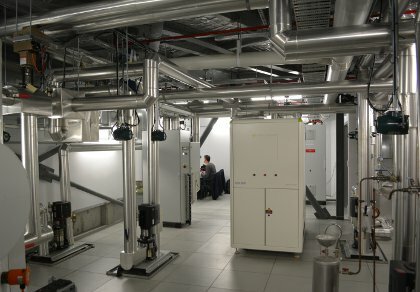 The Urban Power Station, as NEP Solar and EnergyAE have dubbed it, is a first-of-its-kind solar thermal tri-generation system which has been installed in a new building for the Faculty of Engineering and IT (FEIT) at the University of Technology Sydney (UTS). 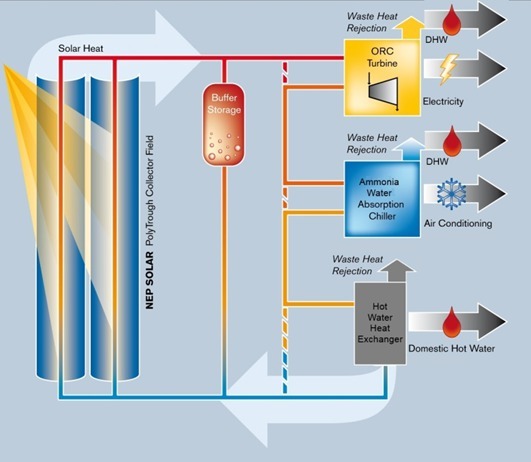 The system comprises four PolyTrough 1200 parabolic trough solar collectors, a thermal storage tank, a 10 kWe organic Rankine cycle (ORC) turbine and a 19 kWr absorption chiller, heat exchangers, pumps, instruments, and a control system. The system can deliver electrical power, chilled water, lower temperature hot water (from the chiller and ORC condenser, for use in household hot water tanks), and higher temperature hot water. Given that this system operates with water at high temperatures and pressure levels, and is located in a building used for teaching, it was essential to have a control system that would be able to safely control the process while allowing researchers to change the configuration and test conditions without having to stop the process. An added requirement was for the researchers to have local and remote access to all process data. To meet these needs, NEP Solar turned once again to a Yokogawa FAST/TOOLS supervisory control and data acquisition (SCADA) solution. Its functions include a data historian that allows the development team to compare results from the entire testing period and evaluate modifications, thus improving the learning aspect of the project. Yokogawa HXS10 solar tracking controllers are used to keep the solar collectors aligned with the sun and to monitor environmental parameters, and a single Yokogawa STARDOM FCN controller is used for the overall control of both the solar array and all key system equipment including the ORC, chiller, pumps, three-way valves, flow meters, and temperature and pressure sensors. NEP Solar and UTS plan also to use a collaboration center that incorporates live video feeds to demonstrate this system to other researchers around the world. The NEP Solar development team had prior experience with the Yokogawa systems, so they continued the partnership with Yokogawa and relied on their local engineering expertise to understand the challenges and supply a flexible, cost effective, and workable control solution. The development team worked very closely with the Yokogawa engineering team, drawing on the core competencies of both companies to develop solutions for the unexpected challenges that were encountered during the project. The NEP Solar team developed the control strategy and the Yokogawa engineers programmed the controller accordingly. The use of a single STARDOM controller for the integrated control of the solar field, ORC, chiller, and balance of plant (BOP) facilities enabled significant savings in both space and cost. 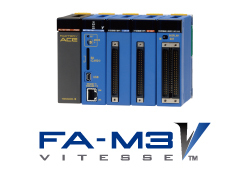 The FAST/TOOLS SCADA provided an all-in-one monitoring, alarm, data historian, trending, and reporting solution, and enabled easy remote access for offsite use. 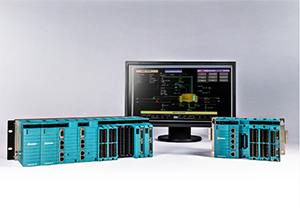 With its advanced capabilities, the integrated Yokogawa control solution provides an ideal and highly flexible solution that can easily be customized as the plant evolves. Johan Dreyer, NEP Solar's Managing Director, said, "The FAST/TOOLS STARDOM solution was perfect for this system as it offered us the flexibility needed to control the system well with plenty of scope for future optimization by the faculty. This system is a first of its kind and is used as a technical demonstrator of a commercially possible solution as well as a learning platform for research and development by the faculty at UTS."